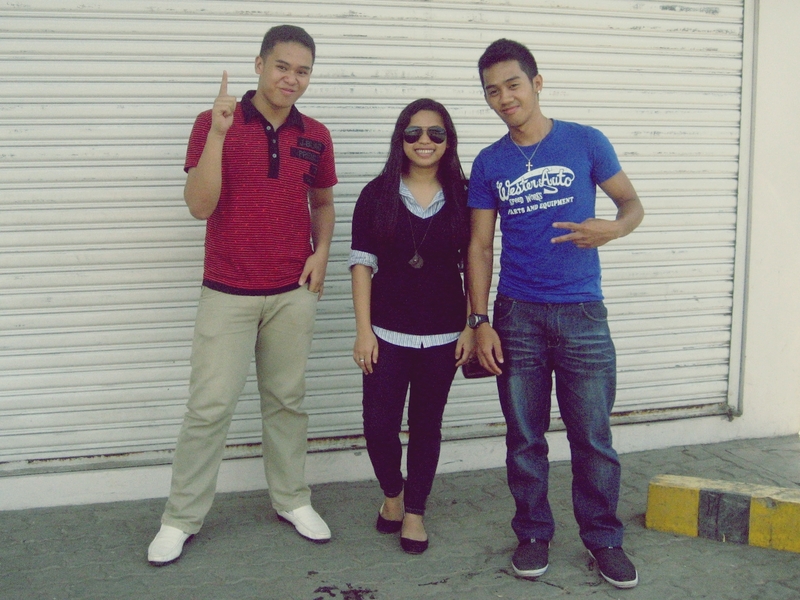 I was supposed to have dinner and movie date last Saturday with my cousins Kuya Wilfred and Pia. It was for us to catch up since it’s been a long time since the last time we went out to bond. But due to unavoidable circumstances we weren’t able to go so we had to move it today. Unfortunately, Pia couldn’t come. It was still fun because Arjay was there. We went to hear the noon mass at the Immaculate Concepcion Chapel in Xavier University. We then had lunch at Mang Inasal LKKS where we had to wait for a table since there were a lot of customers. The long wait for the table and the food was all worth it though since we were all stuffed by their unlimited rice offer. (Yeah, diet ruined but it’s okay. It’s all for the love of cousins. :D) After eating, we went to McDonald’s and had desserts. Kuya and I had Hot Fudge Sundae while Arjay got McFloat. It was as if we weren’t already stuffed. It was fun but it would have been a lot more fun if we had a lot of time. Kuya Wilfred has to go to work after lunch so we’d have to settle for a two-hour time together. The good news though is that Kuya promised to go watch a movie when he gets his next pay. YAY! I’m so looking forward to it! Thank you very much Kuya! So looking forward to the movie date!